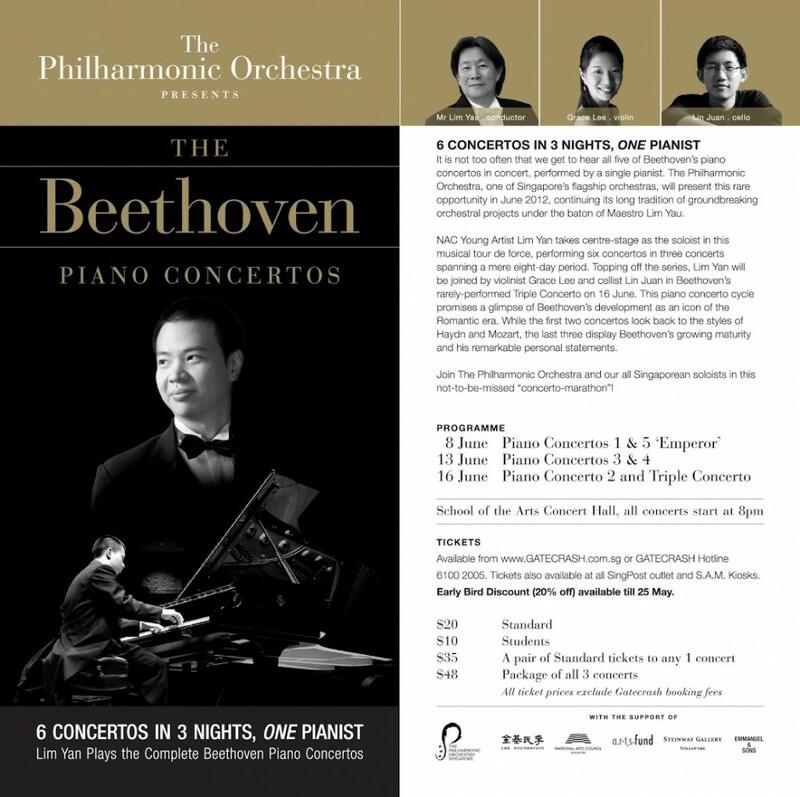 Many can boast of having played a Beethoven piano concerto, and but few can perform all five, and the triple concerto, within the span of a week (and from memory too?!!). In June, talented Singaporean pianist Lim Yan will attempt to perform the six concerti in three concerts, accompanied by The Philharmonic Orchestra, conducted by Lim Yau. He is joined by Lin Juan on the cello and Grace Lee on the violin for the triple concerto. Join The Philharmonic Orchestra (TPO) in this special concert series on 8, 13 and 16 June at SOTA Concert Hall, featuring Lim Yan in a first-ever “concerto marathon”! Student tickets are available at $8 before 25 May, and $10 after. Get your tickets from Gatecrash now! Early bird discount ends 25th May. Previous postYuri Bashmet & the Moscow Soloists Ticket Giveaway Contest!